Later that night, I emailed my good friend Cara of Health Home & Happiness for some advice on what to do next. Guys, I don’t know what I would have done without her. She walked me through everything step-by-step, sharing helpful tips and yummy recipes with a huge side of encouragement. Everyone should have a guide like Cara, which is why I was thrilled to receive an advance copy of her new book: 30 Days Grain-Free: A Day-by-Day Guide and Meal Plan for Beginning a Grain-Free Diet. All the recipes are compatible with the Gut and Psychology Syndrome Diet (GAPS) Diet and Specific Carbohydrate Diet (SCD). Most are dairy-free, and those that include dairy come with notes that explain how to adapt them if needed. Cara has generously agreed to let me share her recipe for French toast with you, but first I just want to mention one more thing . 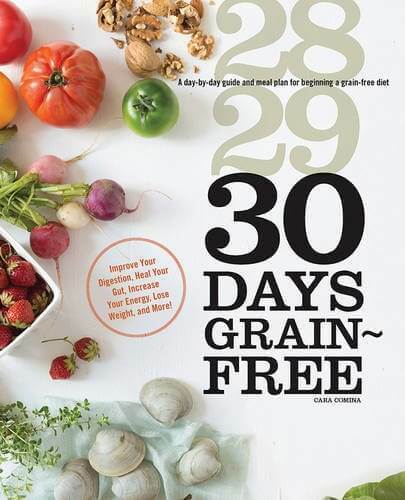 . .
30 Days Grain-Free won’t be available for a few more weeks (August 1st), but if you pre-order before then and email your receipt (screenshot, email receipt, photo from your phone, etc) to [email protected], Cara will give you free access to her Picky Eating Solution Class. 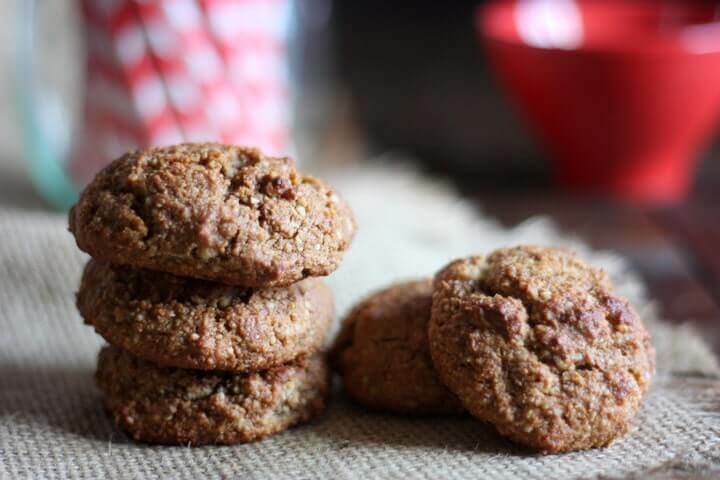 This is perfect if you want to go grain-free but are worried that your littles will mutiny. And just so you know, this is totally not an affiliate link to Cara’s class. I’m just telling you about it because I think it’s an awesome deal. 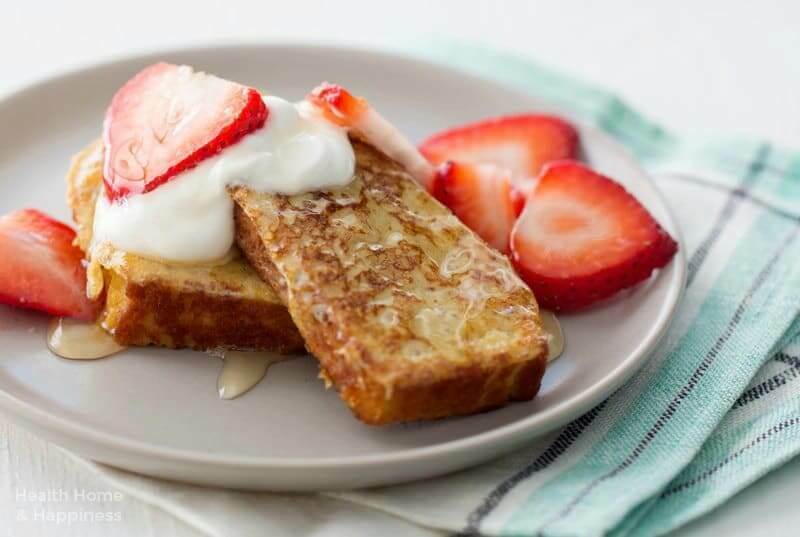 Okay, back to the French toast recipe! In 30 Days Grain-Free, this coconut flour bread is served with soup the night before (day 13), then made into French toast the next morning. 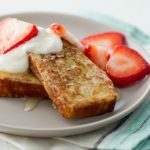 As a rule coconut flour bread is not my favorite, but this recipe topped with fresh strawberries was a delightful exception. Also, don’t you just love that she’s simplified things by working leftovers into the next meal? 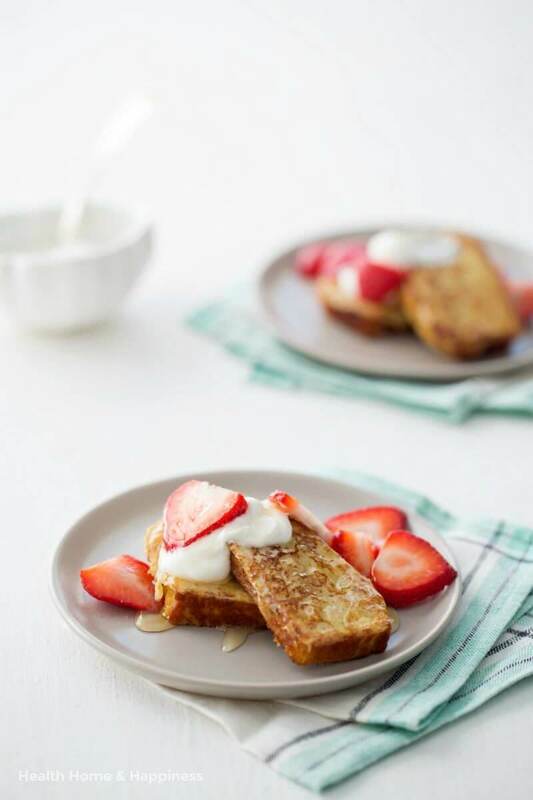 Made with day-old coconut flour bread, this French toast is a delightful morning treat! Top with coconut oil or butter, coconut cream, yogurt, honey, orange wedges, or toasted pecans for an extra-special treat. Heat a skillet over medium-low heat, adding 1 tablespoon of coconut oil to melt. In a shallow dish such as a pie dish, whisk together the eggs, yogurt, honey, cinnamon (if using), and vanilla. Dip each bread slice, one at a time, in the egg mixture, turning to coat. Lay the soaked slices, in batches, in the skillet and cook for about 5 minutes or until the bottom is browned. Flip and cook for about 3 more minutes or until the French toast is cooked through and browned on both sides. Repeat with the remaining slices, adding coconut oil to the pan as needed. Serve warm with strawberries and any other toppings of your choice. 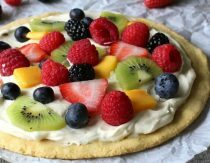 Be creative with your toppings: any fresh fruit, maple syrup, homemade jam, etc. I’m out of butter and ghee at the moment. 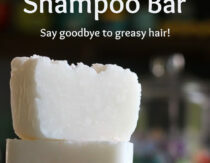 Does anyone know if the bread will work with coconut oil or palm shortening in its place? It looks amazing!! My only problem with coconut flour is how many eggs you need!! The eggs I buy are about $7 a dozen, making any coconut flour recipe way too much money :-(. Ever have any luck using flax eggs or the like? This is exactly my problem with Paleo! I ? it, but so many eggs. I get it. Mine are $9 dozen. I often wonder if those creating these amazing recipes, have chickens. ? Hello! Do you have any suggested resources for being grain-free vegan? Just hopefully wondering. Thanks. Check out the Medical Medium! He’s got a bunch of info! Made this and replaced the applesauce with mashed banana.lso added vanilla and cinnamon. It was so dense and didn’t rise at all. Not sure if I did anything wrong. Tasted fine though.